Do mobile math games for kids help them master difficult concepts? How can a mobile phone help kids learn math? Students can use math apps on their mobile phones to help students practice solving the math problems they are given in school. Students first practice solving addition, subtraction and multiplication problems. Once they have mastered how to do these problems, they will then move on to solving more advanced word problems. 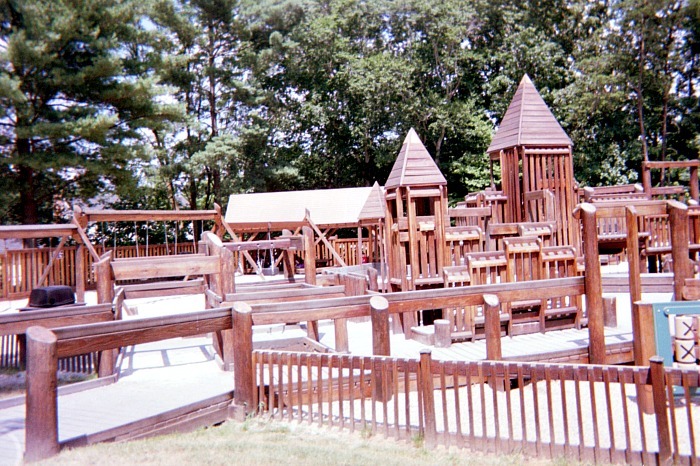 Kids love to play in a playground. They also have fun playing online games while learning how to solve math problems. After students demonstrate that they can add, subtract and multiply quickly and accurately, they are ready to embark upon word problem solving adventures. Students will begin to read word problems to figure out what the questions are asking them to do. They can then apply their mathematical knowledge to solving real-world problems. There are many fun apps out there offering a variety of math games for kids. Many are low cost or free for both iOS and Android mobile phones. Kids can have fun while building upon their math solving skills and knowledge that they can use all their lives. Teachers know that introducing their students to new ideas is both an art and a science. One powerful way to introduce students to new ideas is to let them “play” with these new ideas. The idea of letting students interact on their own, as they will with new ideas, makes sense. Math games for kids in the form of mobile apps is an excellent way for parents to give their children a head start when it comes to learning difficult math concepts in school. For kids these days having access to mobile phone technology is a given. Parents give their children mobile phones at an early age. Why shouldn’t these parents also give their kids access to fun math games for kids that they can use to develop important math skills? Monkey Math School Sunshine This is a fun app for beginning math students. Kids can have fun while learning basic math skills such as addition, subtraction and counting. Kids complete fun activities and solve problems for a monkey. The app is targeted to ages three to six. It also helps kindergarten students learn the basic math concepts needed for first grade. Motion Math This app helps kids master fractions, basic math, place value, estimation and some basic economic concepts. The app is geared to grades Pre-K, K-4 and 5-8. The app allows a teacher to sign in and see a student’s progress. CK-12: Practice Math & Science This app has more than 5,000 math and science lessons and features practice models for grades K-12. The content is created for teachers and is compatible with STEM education standards. This app encourages girls to study math and science. It overcomes stereotypes and teaching methods that steer away from girls learning math and science subjects. Brainly This math app is a community-based app comprised of people who answer each other’s math questions. It’s for all levels from kindergarten through college. Splash Math This is one of the fun math games for kids that is an interactive app. Kids are rewarded with coins that they can later redeem for virtual pets while playing these math games. To a child having difficulty learning math, solving math problems can be like riding a carousel that goes around in circles. Operation Math Kids can choose which math operations they want to practice as they travel around the world on different spy missions. Number Frames The Math Learning Center offers interactive math tools to help students practice different math skills. Students explore the relationships between numbers as they represent each operation with virtual manipulatives. Sushi Monster Students solve multiplication and addition problems by picking the correct factors and addends listed on different pieces of sushi. The goal is to reach a target number. Quick Math – Arithmetic & Times Tables Kids answer traditional skill-and-drill questions. They enter their answers anywhere on the screen of their mobile phone. The app will read their handwriting and record their answers. Number Line This mobile app helps students model their thinking as they explore different operations. Pet Bingo by Duck Duck Moose This is one of the fun math games for kids that is full of colorful cartoon characters. The app offers visual models that help students understand how to solve each math problem. Kids answer addition, subtraction, multiplication or division questions and post their answers on a bingo board. Meerkat Math HD This adventure app asks students to complete different meerkat races using math facts. Students control how fast their meerkat avatar runs and jumps, when students answer these questions quickly and correctly. The faster a meerkat runs and jumps, the better the chances are for the meerkat avatar to win the race. Math Vs Zombies This app motivates children to solve addition, subtraction, multiplication or simple division problems with the correct answer to zap zombies back into human beings. 10monkeys Multiplication The goal of this animated app is to help monkeys trapped in a tree escape by answering a set of multiplication questions correctly. Kids can review and practice multiplication facts by studying different times tables and reviewing a multiplication reference chart. YodelOh Math Mountain Kids can practice all four operations with this virtual replication of a traditional carnival game. The app forces the children to work quickly, so that the yodeler doesn’t fall from the top of the mountain. More math apps for kids.